A spectacle with a social conscience. We do not have a perfect film here, but the majesty of Cameron’s efforts will make this an enduring classic. This movie for its faults will still be recognized in the history of film. Much like Star Wars was the standard of innovation and pure wonder in my youth, Avatar will be remembered by today’s youth for the same reasons. Star Wars was far from perfect as well, but its overall combination of visuals, originality and the sheer possibilities that it created for films that followed it, set it apart from the stigma of B-movie Sci-Fi’s of its time. Avatar’s weaknesses are similar. The dialogue is sometimes laboured and there were a few campy moments that will ring loud with the reluctant viewers that were dragged to the theatre by eager friends and looking for a reason to criticize. Avatar however is more accessible. We all know people that just can’t accept what they see as the impossible setting and subject matter the science fiction or fantasy genres. Well you won’t see the Avatar setting anywhere in a National Geographic magazine either but the challenges that the human race face in this movie are current and everywhere in the alternative media. Even the non believers have heard about Al Gore’s warnings and on some level can accept some of the environmental claims. So the timeliness of picture is perfect. What makes the scenic visuals so stimulating is their beauty and the innocence that we can attribute to untouched nature. The Na’vi are those type of pure creatures that we can all like and hope to succeed. Their existence like Earth’s protected species have the same innocence that attracts our social consciousness and activates our protective natures. The 3D features are mesmerizing and not over the top, with the tired plethora of sharp projectiles. Instead the 3D effects compliment the movie and the story. Go figure. No part of the technical brilliance seemed unnecessary or blatant show-boating. So as a result the film affords the viewer with the necessary elements to feel good about our support and recommendations. Not that the acting or dialogue is unimportant but both are more than adequate, and bringing up the little flaws would seem like nit-picking for a film of this historical significance. So for the same reason I will not highlight any of the individual performances as they all suited the film while none stood out in a memorable way. 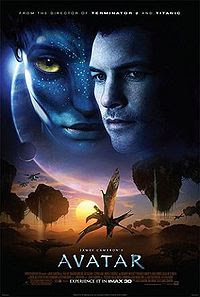 The one thing worth saying however is that both the Human and Na’vi acted portions of this film could both be characterized as live action acting. In other words there was no drop in entertainment or believability with the transitions between the two featured species. This is truly a phenomenal accomplishment. I cannot recall one movie that pulls off reality to surreal so effectively. This is technology continuity in its highest form. And for the first time I was convinced that any humanoid graphical actor is now a real possibility that will ensure audiences are not cheated of the warmth of real fleshy actors. So please, make an effort to get to a theatre, the bigger the better and take in this experience the way its meant to be seen which I will assure you will not happen in all of this glory again for quite some time.